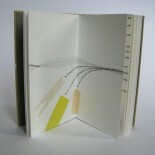 An interview I did in early November with Susan Mills for Bookbinding Now is now available to listen to online. Would you like to hear it? *hours and hours* Tomorrow, back to bookbinding.